January is a busy time for holiday home owners as people start to prepare their holiday plans for the year. Some people start their Edinburgh trip planning early, booking a year or more in advance for popular dates, and for people who like to be here for one of our many Festivals, don’t leave it too late as it’s a very popular time to visit. A great time of year for people looking to escape the extreme temperatures in parts of the southern hemisphere. When we are hearing about 40˚C and more temperatures on the centre court at the Australian Open Tennis, we’re wrapping up for outdoors activities and welcoming guests from Australia and New Zealand who may be coming to Scotland to visit relatives, or to investigate their family tree. 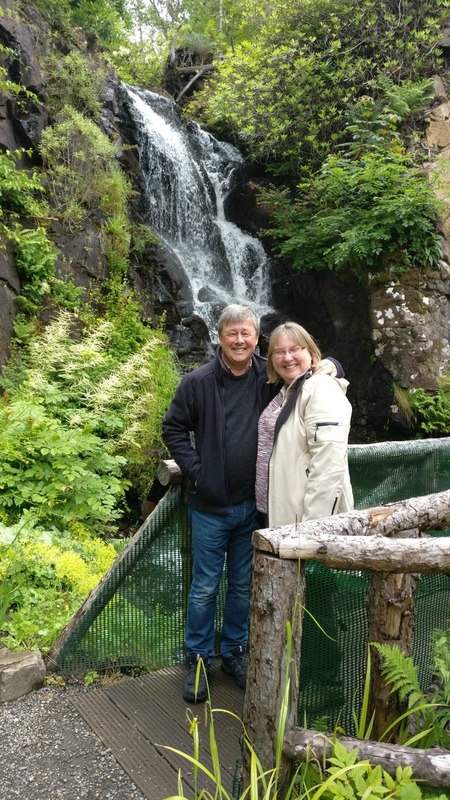 Our guest blog post on the Embrace Scotland website shared a top tip for visiting the Scotland’s People Centre where the Archivist’s Garden is worth a look. 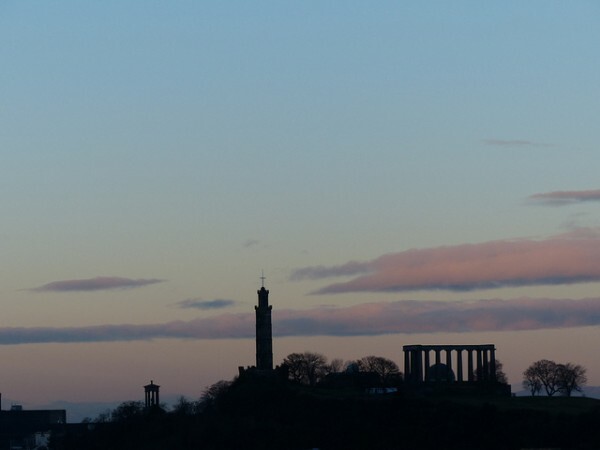 In January we sometimes enjoy walking on Salisbury Crags (which you can see from the window of Craigwell Cottage), and finding ideas of places to enjoy a Burns Supper in Edinburgh. 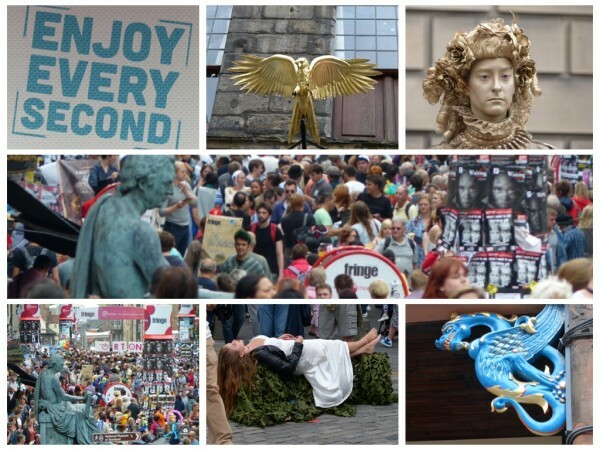 We’ve created a Pinterest board of Things to Do in January in Edinburgh to whet your appetite. New for January 2019 Message from the Skies is a continuation of our Hogmanay Festival. People planning trips to Edinburgh in February may be coming to celebrate Valentine’s Day, or to enjoy Rugby at Murrayfield. Great time to take a short break in Edinburgh. Business travellers may also find self-catering a convenient alternative to a hotel stay (and there’s free Wi-Fi in Craigwell Cottage). Check last minute availability. We’re collecting ideas for Romantic Breaks in Edinburgh – any ideas to add? By the time we reach March each year, people are planning short breaks to visit friends and relatives, to see the remainder of the Scottish International Rugby series or simply to start to see the signs of spring arrive in Scotland’s Capital city. If Easter’s early we’ll be busy with Easter weekend breaks too. And there are always plenty of ideas for things to do if it rains! The first of the big Edinburgh Festivals is in April each year – with something for all the family. The Edinburgh International Science Festival is a great reason to visit. We’ve enjoyed being reviewers for the Science Festival in the past for Edinburgh Spotlight, and there’s lots going on for children at the Edinburgh City Art Centre which acts as the HQ. 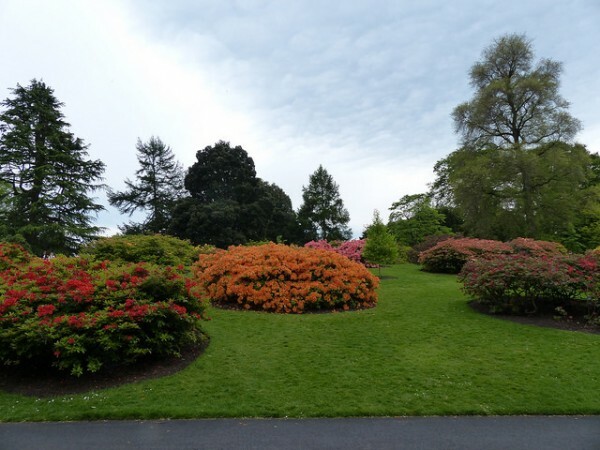 Lovely time for walks in the Royal Botanic Gardens, and there’s also a celebration of the changing of the seasons as the Beltane Fire Festival takes place on Calton Hill and in the Royal Mile in Edinburgh. Time for the Imaginate Festival, lots of bank holiday weekend breaks and the Edinburgh Marathon. A popular time to visit Edinburgh. Hope you’re planning ahead as May short breaks go fast! 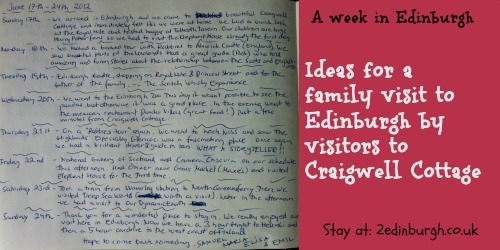 A popular time for people to plan a weekly break in Edinburgh. It’s also the month when there is a major fundraiser in Edinburgh as the Moonwalk Scotland comes to town. As veteran Moonwalkers of years gone by (two half-Marathons and one full), we’d be very happy to welcome you to Walk the Walk in Edinburgh. Just remember to include plenty of flights of stairs in your training because Edinburgh has some hilly sections! As Craigwell Cottage is only a short walk from Edinburgh’s main railway station, Waverley, people often use a stay here as a base to make trips further afield. A favourite review from a Harry Potter fan who stayed at Craigwell Cottage in June a few years back showed just how much this family managed to see in a week’s stay here. In early July it’s a time for us to say Edinburgh really is magic as the Edinburgh International Magic Festival comes to town. The Edinburgh Jazz and Blues Festival takes place during the second half of July. Festivals galore! Edinburgh International Festival, Edinburgh Art Festival, the Royal Edinburgh Military Tattoo, Edinburgh Festival Fringe, Edinburgh International Book Festival and the Edinburgh Mela (dates TBC – may be early Sept). We’re celebrating! If you’re planning a trip to Edinburgh, and want to book self-catering accommodation, get in touch soon. Having staged so many festivals during the month of August, visitors to Edinburgh in September can expect to find us bouncing back from the August excitement, and ready for short breaks or weekly stays again. A great time to visit friends and family, or for families settling in students who come to study in Edinburgh. Craigwell Cottage is nearest to the Moray House Campus of Edinburgh University, and within easy walking distance of The Pleasance and Old College. Could be a good time to find a last minute break if you don’t need school holiday dates. 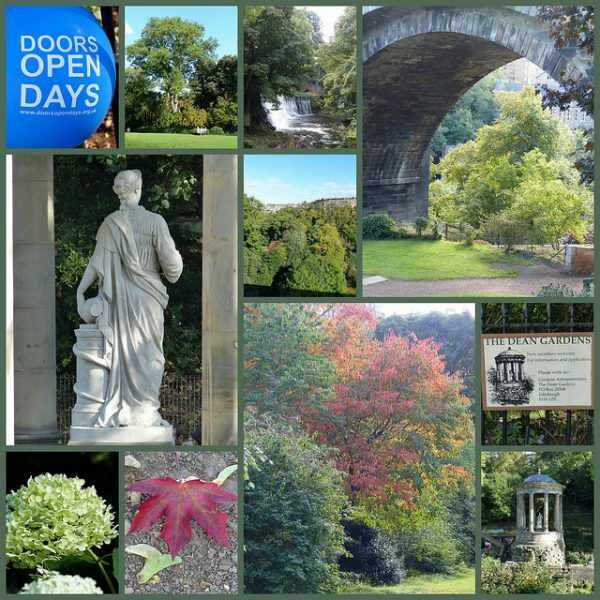 During one of the September weekends, it will be Doors Open Days in Edinburgh too – a great opportunity to visit properties which may not always be open to the public. School half-term holidays in October are often on different dates for different areas of the UK, so it can be a good time to book. As autumn sets in, a city break means you have plenty of options of things to do no matter what the weather. We love to visit the Royal Botanic Garden to see the trees turn to autumn colours, and have plenty of ideas for indoor activities too! Time for museums, art galleries and visitor attractions. October’s also the month for the International Storytelling Festival centred at the Scottish Storytelling Centre in Edinburgh’s Royal Mile. As the seasons change the Samhuinn Festival takes place on 31 October – Hallowe’en in Edinburgh. We’ve a whole board of Dark Edinburgh ideas for you too! For most people, shopping for Christmas takes priority during November. Some people choose to visit Edinburgh as the Christmas decorations start to go up and we prepare for a month or more of winter Festivals. 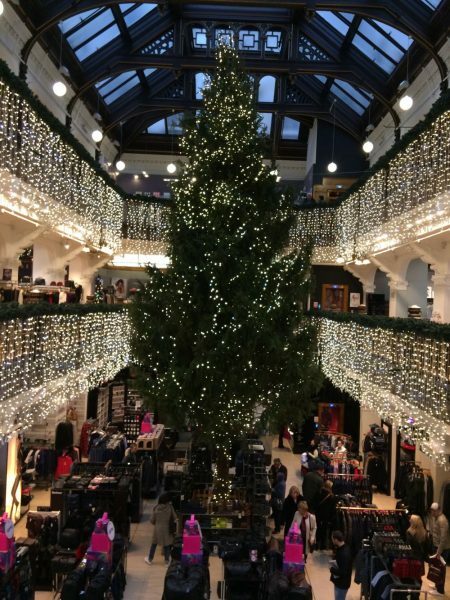 To make the most of this, book breaks towards the end of November when the Christmas lights will be switched on, the Norwegian Christmas tree will go up on The Mound, and we all try to figure out just how they get that huge tree into Jenners! Niche celebrations for literary fans include Robert Louis Stevenson Day on 13 November, which has the potential to turn into a week. 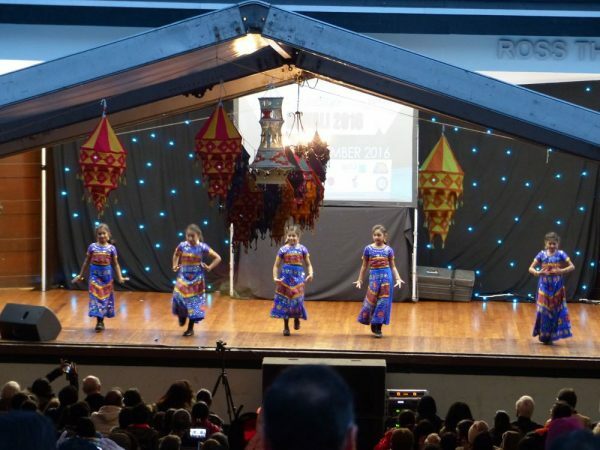 We also celebrate Edinburgh’s Diwali, a multi-cultural celebration of the festival of light. 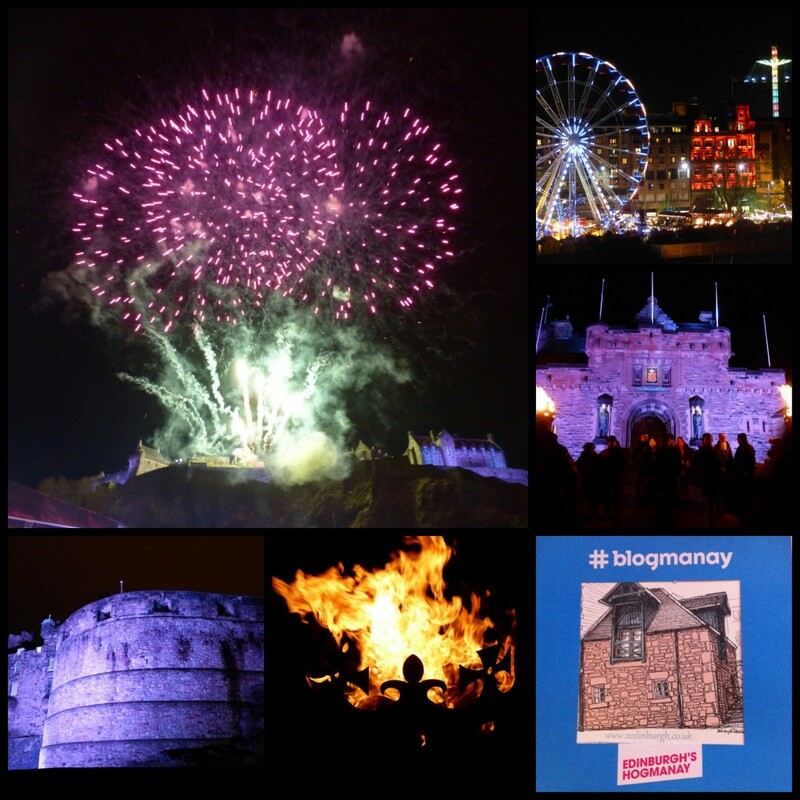 Continue your Christmas shopping, visit friends and relatives, visit Edinburgh’s Christmas Markets, enjoy the events being staged for Edinburgh’s Christmas and prepare to bring in the New Year at Edinburgh’s Hogmanay. We particularly enjoy the family events such as the Torchlight Parade. Plenty going on here during December! We hope that this has given a flavour of the things to do and see when you’re Edinburgh trip planning. Get in touch when you’re ready. You’ll find more details on our Craigwell Cottage social media channels. Welcome to Edinburgh!